← 6 Ways To Generate Leads on LinkedIn. 4 Reasons I Switched My Blog from Tumblr to WordPress and a “How To” Included. Deciding to move your blog can be intimidating and scary for many reasons, but I’m pretty sure I made the right decision. My decision to switch was based more upon what WordPress could offer that Tumblr couldn’t than any issues I had with Tumblr itself. Here are 4 Reasons why I decided to make the switch. Another reason why I switched to WP is SEO, which stands for Search Engine Optimization. It basically includes processes behind improving a site’s visibility in search engine results pages, such as Google. Apparently, if your blog’s HTML coding is bad, your site will be down ranked. The great thing about WP and its blog templates is that they are more SEO friendly. In addition to this, WordPress has a great number of SEO plugins you can install and work with, and they’re super easy to use. WOW. One of the things I love most about WP is the awesome plugins. WP plugims make your life super easy – there are lots of them, and you can access each of them right from your Dashboard, including a built-in Google Analytics or Statcounter app. How cool is that? I just love WP’s post editor. It doesn’t take too much time to get used to it, but it’s much better than Tumblr and easier to use. WP also has a button which lets you paste a text from MS Word – AND it doesn’t mess up your theme. You don’t have to worry about it being complicated even if you’re not a HTML expert – the post editor looks almost identical to the one we have in MS word so you don’t even have to go near the HTML editor button if you don’t want to. I know some people are obsessed with privacy but they don’t realize that it’s actually the number one reason why people can’t or simply won’t comment on their blog posts. WordPress is definitely much better with filtering out spam. An interesting thing about WP’s comment system is that, in addition to being able to moderate your comments before publishing, you can edit your comments too. Tumblr doesn’t allow comments with the free version. Huge con. Plus, WP also lets you password-protect your posts – either all of them, or just the ones you’d prefer not to make visible to the public. I love the fact that WP makes everything so easy. If you’ve been considering this move for a while just like myself, I would definitely say go for it. You’ll be surprised how professional looking and clean your blog is going to be, and its simplicity will definitely save you a lot of time. To bring your tumblelog’s content to WordPress.com, head to Tools → Import in your WordPress.com dashboard and look for the Tumblr importer. If you don’t already have an account here on WordPress.com then head over and sign up first. Click the link to get started and then enter the email address you used to sign up to Tumblr, your Tumblr password and click Connect to Tumblr. The importer will then fetch a list of your blogs and let you pick which one to import. Click Import this blog to get going. Once you have started, the import progress will be shown on the import page and you will be sent an email when the import is finished. Videos you had uploaded to Tumblr are imported into VideoPress and other embeds are converted to use shortcodes. Sometimes the importer finds an embed it can’t convert and a list of these is included in the import completion email for you to check. Then you’ll want to set up Domain Mapping on your WordPress.com blog so that your readers can use the same domain to reach your site as before. If you have any trouble importing your blog, contact support where one of the Happiness Engineers will be glad to help out. 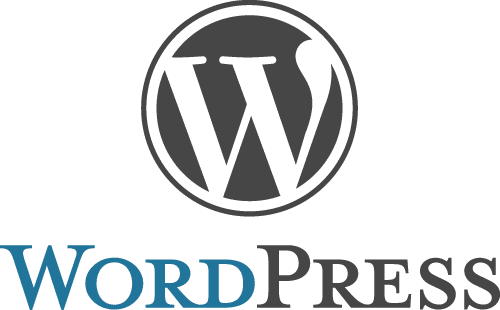 To learn all about WordPress.com’s features, check out their handy tutorial. There is also a comprehensive feature documentation at their support site. Thank you Jake! It was a move I should have made awhile ago. I didn’t realize how easy it would be to make the switch. Unfortunately, all my stats and followers from my Tumblr blog didn’t automatically follow me to WordPress. Excellent issues altogether, you simply received a logo new reader. What might you recommend in regards to your publish that you just made a few days ago? Any sure? Great post, BrandLove, LLC. I have been posting in WordPress since my site was active, and have also thought of including the links on Tumblr. Your how-to is valuable for anyone like you – who has all their blogs in Tumblr. I have included your post in ‘Best of the Web’ http://j3webmarketing.com/best-web so other people can benefit by your advice. Thank you. Thanks so much for your comments Yoav! I appreciate the link to my site! Thank you BrandLove, LLC for a great blog that will help other people who were also in the same situation.